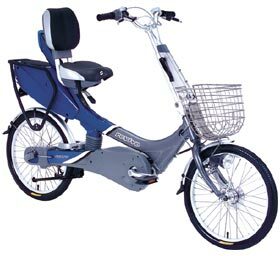 Does anyone post anything about recumbent bikes here? will be doing any and all maintenance and repair work on the bike. She will most definitely NEVER touch it. difficult, espeically on the hub-geared versions. Kinder surprise! What's the surprise? Your children are now dead. complicated, and she can't figure out how to adjust the seats in her BMW. cut out to be a heart surgeon. as many times as it takes until she is satisfied. Based on what I know, she would find a real recumbent intimidating. will never fix a tire, oil a chain, or adjust a bearing. means there is something she hates more than driving. I wish it weren't so, but that is the situation. she would find a real recumbent intimidating. Bodies seem more complex and intimidating "machines"
to maintain, interact with and manage than bicycles. She must be protected from exposure to the dirty parts of a bike. Buy her the most expensive bike with the greatest resale value. That may score you points. exactly cut out to be a heart surgeon. would at least commit to shopping for one. Funny you should mention that, she IS interested in surgery! even if it is just decorating the garage. That would be culturally unacceptable to her. one though she grew up where such vehicles are much more common. more egalitarian appearance is desired. didn't mind the stoker position. Mugwump is it too late for her to transfer to Veterinary school?